HomeUNITED LEFT – who we are and what we are for! UNITED LEFT is a union broad left organisation open only to UNITE members. We are a voluntary organisation that links UNITE shop stewards, union activists, convenors and Full Time Officers and staff in a network across Britain and Ireland. We have a vision for a democratic lay member-led union that is fighting back for its members, that is strong financially and lean and fit organisationally, and a growing union that is building union organisation in more and more workplaces. We want a campaigning union that has a clear political voice too, in the Labour Party but also beyond, demanding the changes needed to give working class people and their families a better deal and a more secure future. We want a union that has an international perspective too, linking up with trade unions in Europe and globally to take on multinational capital, whilst also offering real solidarity to campaigns fighting for justice whether that’s in Palestine or Colombia, or defending the revolution and/or struggling left movements in Cuba, Venezuela or Brazil. We believe in strong trade unions and collective bargaining with the right to strike as the best means of regulating wages in a civilized democracy and of redistributing wealth in a capitalist society, whilst also giving workers the power of organisation so they have a collective voice both inside and outside of the workplace. We are “socialists” in the general sense of the word. Most of us are on the left of the Labour Party, but others are in the Socialist Party, the Communist Party or in no party at all. (The Socialist Workers Party is not part of United Left). We believe in public ownership of our public services and oppose the privatisation mania of the neo-liberal era. We believe in a strong, benevolent, progressive State that delivers high quality public services (rail, water, energy, NHS, education etc) backed up by municipal socialism (council houses, public transport, social care etc). We believe in a strong welfare state whereby the rich help to pay for those who are out of work or who are in work but not earning enough to live decently. The funding should come from progressive taxation i.e. higher taxation rates on higher incomes. Business corporations should pay their fair share too and we oppose tax breaks, “loopholes” and the use of tax havens. United Left members meet regularly for debate and discussion about issues important to them within and outside of the Union. We maintain a Gmail discussion group and a website to communicate news and ideas, and we distribute United Left leaflets and other information at UNITE conferences and other union gatherings. Within UNITE we campaign for a democratic union led by its members and accountable to them. We select candidates for union elections and campaign for them so that progressive ideas can be taken into the heart of the Union. We have been hugely successful in winning the membership’s support for our candidate Len McCluskey in 3 successive General Secretary election campaigns since UNITE was born, and for an Executive Council dominated by elected United Left candidates. 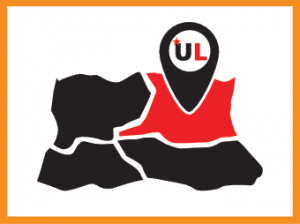 But we have also been successful in achieving significant UL membership on many of our Regional Committees, Regional Political Liaison Committees and we have a strategy to extend that to our national and regional industrial and equalities committees too. We defend our Union’s Rule Book and give leadership at our UNITE Rules Conferences on what Rule amendments should be supported and which should be opposed. At our Biennial Policy Conferences we prepare model motions and amendments and campaign for support from delegates for motions that advance our Union’s progressive agenda. 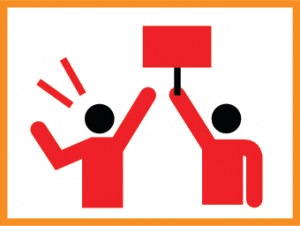 As a broad left union organisation we know from our collective history that differences of views on the left exist, and can be a cause of division. That’s why we try to base our decisions on consensus because where we can agree a clear policy position, the United Left view can be strong and even invincible. Where we cannot agree a position – and this was the case over the EU Referendum – we agree not to take a United Left view and allow each to argue his or her point of view in an open and comradely manner. We believe in tolerance and open debate and therefore United Left can encompass a wide variety of views. 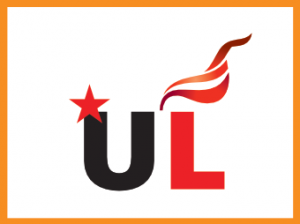 Whilst there is need at times for discipline to ensure our UL representatives do not vote the wrong way on important issues, this is exercised lightly as there is no point in forcing people to vote against their own personal view in a UNITE constitutional committee – indeed this can be harmful to our union democracy to do so. However we have zero tolerance of racism or fascism, and we oppose discrimination of any kind whether based on gender, sexual orientation, creed, age or colour. If you share our general outlook and beliefs, then please do join us. We would love to have you on board.